Telarus has become the trusted telecommunications partner for hundreds of businesses across Australia and New Zealand, many of whom are leaders within their respective industries. We offer white papers on a range of issues relating to Managed Network, Managed Security and Cloud Computing. In a multi-site retail environment, how many essential functions rely on a stable network connection? From managing inventory to accepting EFTPOS payments, this internet link is essential even a short period of downtime can lead to lost sales, unhappy customers and damage to the brand. Fortunately, retail organisations no longer need to live with this worry hanging overhead. 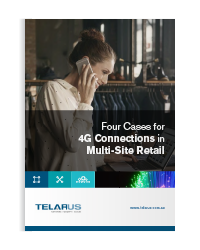 At Telarus, one of the most trusted retail-focused telecommunications providers in Australia, we have developed a cost-effective solution that ensures retail outlets can stay up and running, even when their wired network connection isn’t. 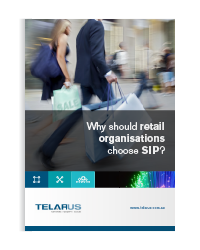 Why Should Retail Organisations Choose SIP? So much of a retail business’s performance depends on the wires that connect it to the outside world. While the one that supplies electricity is vital, the phone and internet lines enable the store to function as a successful part of a larger organisation. Multisite retail organisations rely on voice and data connections between head offices and local branches, but many are still using an outdated system that runs both functions over a separate line. Joining voice and data through SIP (Session Initiation Protocol) can provide key benefits across all areas of a business. SIP is becoming the dominant voice communications standard that is being adopted by businesses across the globe. What are the advantages of a SIP system deployed over a business’s corporate private network? Let’s take a closer look. 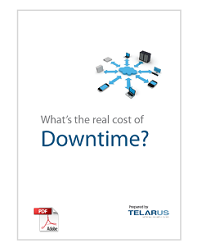 What’s the real cost of Downtime? 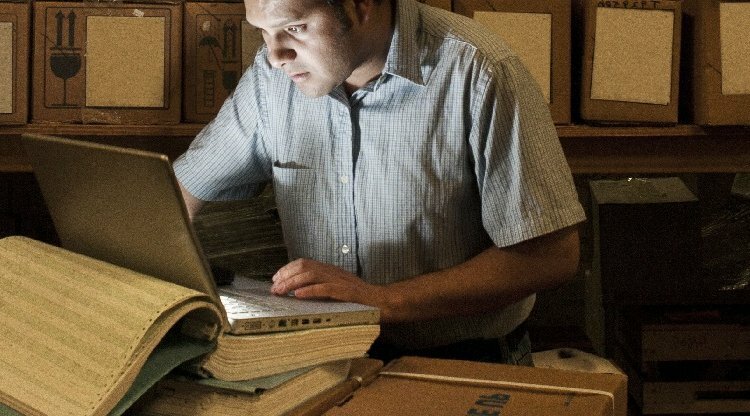 Data networks have always been key to the day-to-day function of a business. However, now more than ever it’s crucial that IT managers ensure network performance meets user requirements and includes resilience to minimise the impact of downtime. This paper discusses the direct risks and costs associated with network downtime. 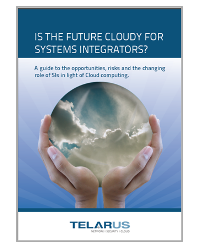 Is the future Cloudy for Systems Integrators? A guide to the opportunities, risks and the changing role of SIs in light of Cloud computing. It may not have gathered over the entire business world yet, but the ‘Cloud’ is forming, growing and will play a major role in the future business ‘climate’. As more businesses demand Cloud solutions how do you as systems integrators change your business model to take advantage? How will the Cloud affect your role and business in IT? How has the cloud affected your business? Telarus invited 788 Melbourne-based System Integrators (SI’s) to participate in a survey about how the Cloud has affected their business operations, and the services they are offering their clients. The responses were very insightful as to where the Australian Market is heading and how rapidly cloud take-up is taking place.